As a business owner, you should be in touch with the the importance of accounting. Here’s an article on the importance of accounting in fitness studios, but the principles apply to any business. It is about ensuring your company’s books are accurate, organized, and up-to-date. One of the critical procedures worthy of exploring further is reconciling your company’s books with your bank statements. In accounting speak, this is known as performing “bank recs”. Bank recs ensure that your company’s bank activity is fully captured in your records. If possible, someone who has no responsibility for handling cash or recording the activity in your company’s books should perform this process. This “segregation of duties” provides an added level of control over your company’s funds. If this is not feasible, having two people involved with the process (e.g., one to prepare, one to review/approve) would be of benefit. Diving into your records and your bank statements can be in intimidating notion. Rest assured, it’s worth it! All you are doing is looking at the activity in the cash account of your books as of a given date, and the activity on your bank statement as of that same date, and identifying what’s on one but not the other. Once each balance has been ‘adjusted’ for these items, the ensuing amounts should equal. In other words, they’ve been ‘reconciled’. In accounting, the schedule used to do this is called a Bank Reconciliation, or “bank rec”. Errors – Typographical mistakes and inputting of wrong amounts are examples of errors that are flushed out during the reconciliation process. Improprieties – Improper deposits or withdrawals may have been intentional, unintentional, or done by the bank, an outside party, or someone internally. Create a spreadsheet that starts out listing both the cash balance of your bank account and the cash balance of your books as of a given month-end. You will also need a printout of the individual transactions reflected each on your bank account and your books for that period. From there, simply check off each of the transactions that appear on both reports. Items left unchecked are the ‘reconciling’ items to include on the bank rec spreadsheet. Adjust your books balance for items your company needs to record, and adjust the bank balance for activity your company has recorded but has not been reflected by the bank. Once you have done this, the two ‘adjusted’ balances should equal, and your two sources will be reconciled! 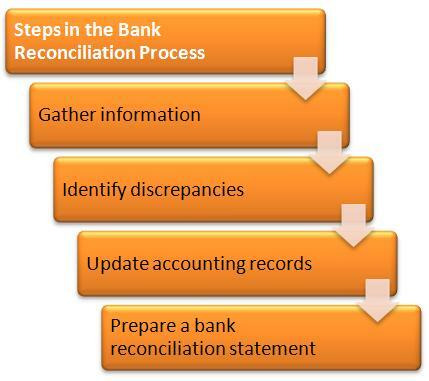 Prepare bank reconciliation, at a minimum, at each month’s end. Some companies choose to prepare them after they have closed their books for the month and record any adjustments in the next month’s period. Other companies prepare the schedule before they close their books for the month so that they can record any adjustments in that period. The latter option is the ideal practice. However, whichever timeline your company chooses, it is optimal to ensure that all cash activity is recorded in the respective month. What if I’m behind on my books? If you are behind on your books, it is still vital to prepare bank recs. The first step is to complete your most recent month. When doing so, be careful recording activity in periods prior to periods whose activity you have already reconciled! This will throw off the balances in the reconciliations! In other words, if you are catching up, keep track of the activity you record in prior periods so that you don’t have to “re-reconcile” prior months to get back in balance. 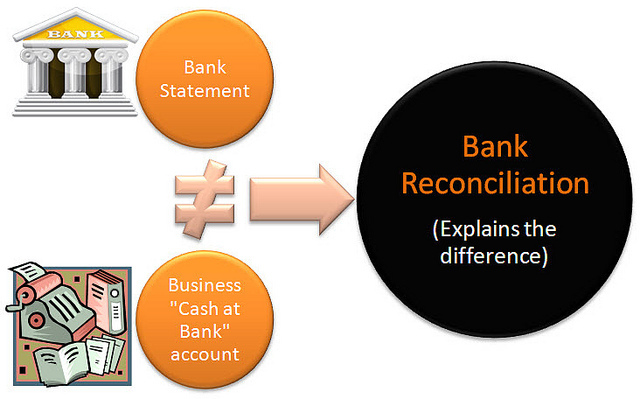 Check out this illustrative bank account reconciliation example! Tim Hari is a CPA with extensive experiences in public accounting and senior operational finance roles within the professional services industry. Tim provides accounting and consulting services for professional services firms and startups. He can be reached at timothy.hari@gmail.com.